The invitation arrives and the attire says black tie, but it’s in the middle of July. What do you wear? 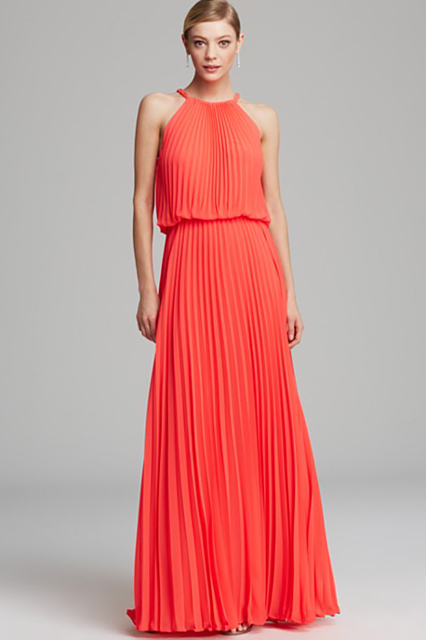 Typically, a formal affair calls for a floor length gown. A summer affair calls for the same but in bright, bold colors or prints and it doesn’t have to be as formal or structured either. Step outside your box since this is the season to do so and leave those LBDs (little black dresses) in the closet for the fall. 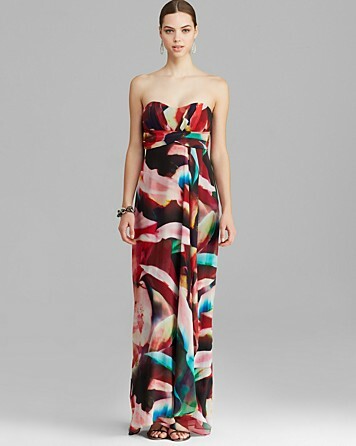 Look for strappy, strapless and flowy with a pop of color and be sure to accessorize. However, before you attempt your shopping expedition, take certain factors into consideration. Think about where the event takes place. Will it be in an outdoor space where the temperatures may be boiling? If so, you may want to be sure to get a fabric that is lightweight and breathes and perhaps doesn’t wrinkle. 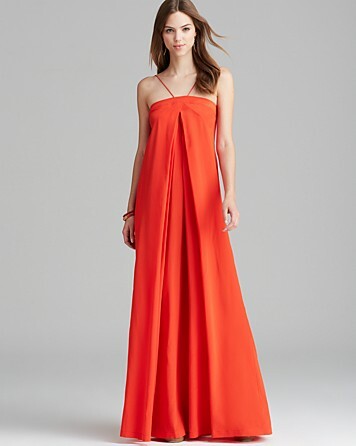 If you’re out by the beach or on a boat, you can’t have a dress too flowy or you may be holding it in place all night. Stilettos out in the grass are a hazard too. What’s a girl to do? Just be comfortable and be fabulous. Here’s some of what we found online to help inspire you.